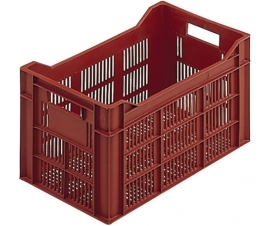 Our range of non-euro stacking containers include bread and bakery baskets, harvest crates, fish boxes, grocery trays and confectionery trays. 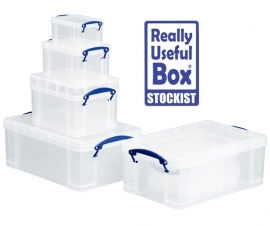 Really Useful Boxes (TM) are clear boxes which can be closed securely using their flip over handles and the boxes can stack on top of one another. 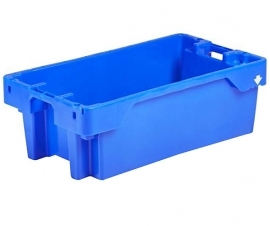 Our non-euro stacking and nesting container range contains a variety of storage boxes and plastic containers, such as bread and bakery baskets, harvest crates, plastic fish boxes, vented grocery (vegetable and fruit) plastic trays and confectionery trays, all of which are made from food grade plastics. Many of these models are ventilated (perforated with air holes) which help keep produce and ingredients fresh, as air can circulate. 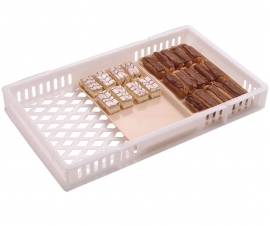 Really Useful Boxes (TM) are clear boxes (available in coloured), strong and made from food grade plastic. 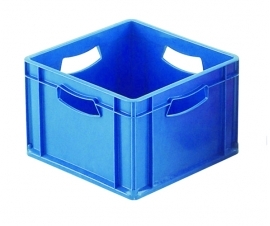 Really Useful Box lids can be closed securely using their flip over handles and the boxes can stack on top of one another. Other sizes and colours available, please contact us for details.